My sweet girl snuggling up to Poppy the Pig! I love to read to my children and until now it has been mostly classics and "boy" themed books. Well now that I have a daughter a whole new world of books has opened up to me! 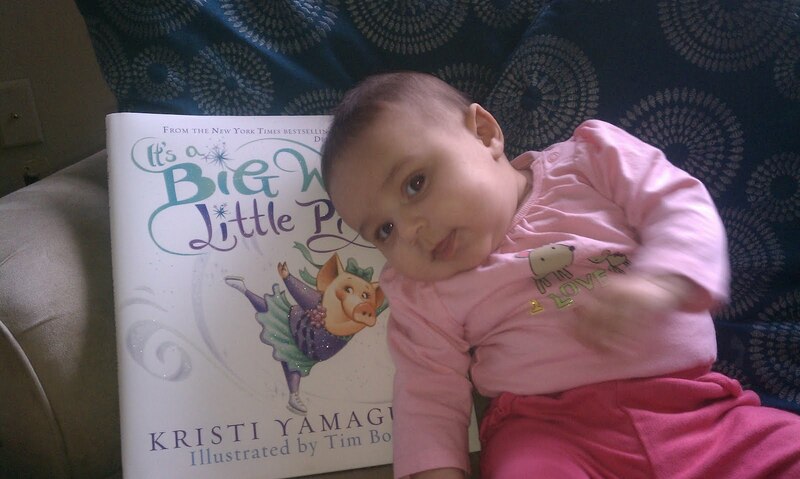 We were lucky enough to review It's a Big World Little Pig! by Kristi Yamaguchi. You know the Kristi Yamaguchi we all grew up watching on the ice skating rink? I loved watching her on the ice, wishing I too could be so graceful. Kristi has accomplished so much on and off the ice, what a beautiful person inside and out.